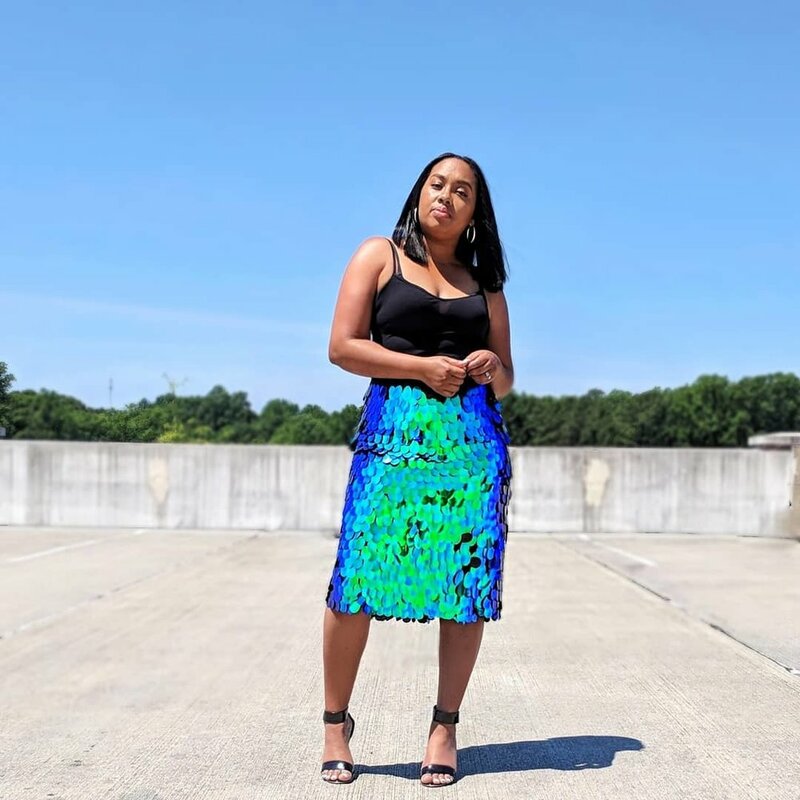 When I saw the large sequins on this fabric, it was hard for me to pass it up ESPECIALLY when I saw the skirt that another blogger wore that iinspired me to buy this fabric. ðŸ˜© Did you already see this mermaid inspired fabric in your Joann Fabrics stores? I sware, if I ever get the opportunity to design a line of fabric (BTW, this is on my vision board to collaborate with Joanns to create one) it would have so much attitude and cockiness just like this fabric. ðŸ™Œ This fabric is from the Glitterbug Collection.